A medium contemporary design single ceiling pendant with a metallic white painted dome shade. The wire suspension can be shortened at the point of installation for use in rooms with lower ceilings, this would be great for lighting over a dining room table, kitchen island or bar. Being LED lit this fitting is very energy efficient using only 30 watts but providing around 938 lumens or the equivalent of about 80 standard watts. Here at The Lighting Company we have a large and ever growing range of lighting to suit every setting. 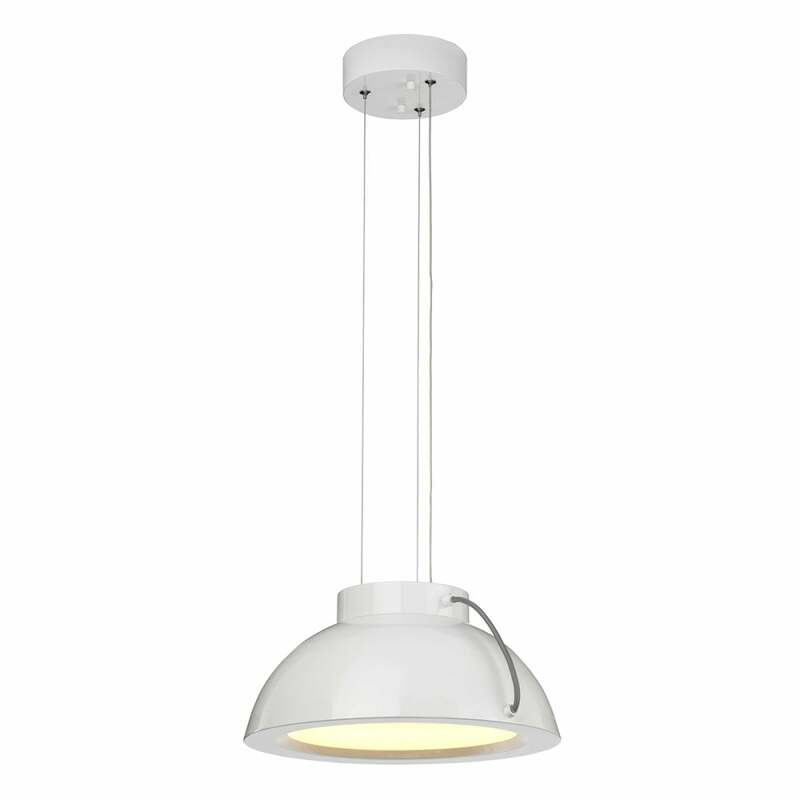 Browse the full range of ceiling pendants here: Ceiling Pendants.